The first day Stefano came to dinner at home, we made pasta with pesto. Stefano is Genovese and we wanted to make him feel less homesick. He said it was almost as good as the pesto his mother makes; in other words, it was sensational. The second time he came to dinner, we made pasta with colatura. Like the pasta with pesto, this is a dish that takes no time and no skills. We arrived home very late after a long day of work, with little time to cook. At left is a [bad and dark] picture of a very brilliant dish. This is the recipe for pasta con la colatura, great with linguine or spaghetti. The next time Stefano comes home for dinner, we’ll cook something more elaborate, we promise, but I can’t promise a more delicious dish. Next Post I Made It! Edible Bread, Finally. Thank You Mark Bittman. How do I order Colatura and what is the price? Joyce, this is the blog of gustiamo dot com. If you just go on that site, you can shop and order there directly. I did several times already, I am a happy customer. But as a vegetarian, I am not interested in this very product, as it is made of animals. Try a vietnamese fish sauce, it’s just as goodas a colatura but does the trick. The Vietnamese procuct cotains sugar, I think. This Colatura sounds delicious…I will search it out in my area. Regarding the fish sauce – there are many different qualities. The best are the ones that are lighter in color (like brewed tea) and not the dark, inky ones. I recently made Pho, Vietnamese style soup for a challenge, and they recommended Three Crabs brand. Have a great time in Vietnam. I’m sure you’ll come back with some great recipes to share! Half a cup of colatura sounds like a lot. for the suggestion of the anchovy sauce. Not too many Americans like anchovies, and so I miss them in my cooking. Having grown up for part of the time outside the US we were used to having anchovies on our pizza. Now I can add the sauce to my dressings. it looked to me, too, a lot of liquid. 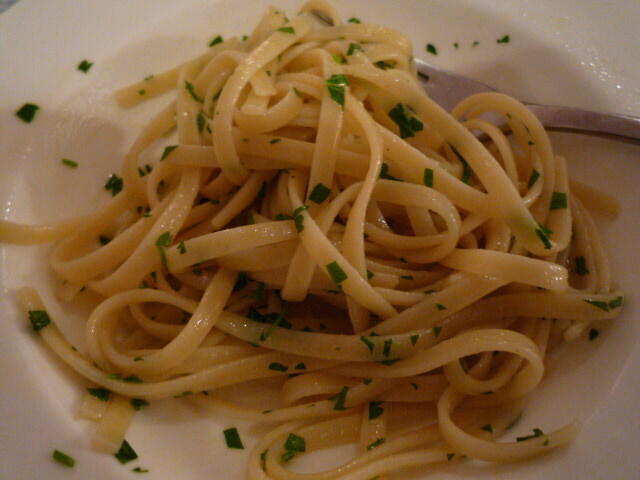 so, when i did it, i went very carefully, trying the pasta as i was adding the colatura. the italian recipe asks for “half a glass” of colatura. i translated it into half a cup. i will try again tomorrow evening with exactly half a cup and will let you know. – colatura in your area: let me know if you find it. i’m curious. otherwise, place an order with us! – recipes from vietnam: i heard of fusion/french vietnamese… never italian vietnamese. i am not a cook. if i can put a cooked dish on the table is only because i am helped by our good ingredients. i would not even know how to start with vietnamese cuisine. thank you for even thinking i would be able to bring back recipes. Joyce, read Marion’s comment, above. you order colatura from Gustiamo http://gustiblog.gustiamo.com/ or the link provided by Marion above. it is $19.50. it is not expensive, because the flavor is so strong that a bottle lasts a long time. even if you use it for the recipe in the post and you use most of the bottle with the pasta, the pasta will feed 6 people. devided by 6, you are paying $5 per person (my accountant background). i don’t think it is so much for a dish that is so easy to do and so good. Marion, do you agree? does it mean vivere a mare or vivere amare? i guess both, from what i read in your blog. nice blog and nice pictures. bravo.